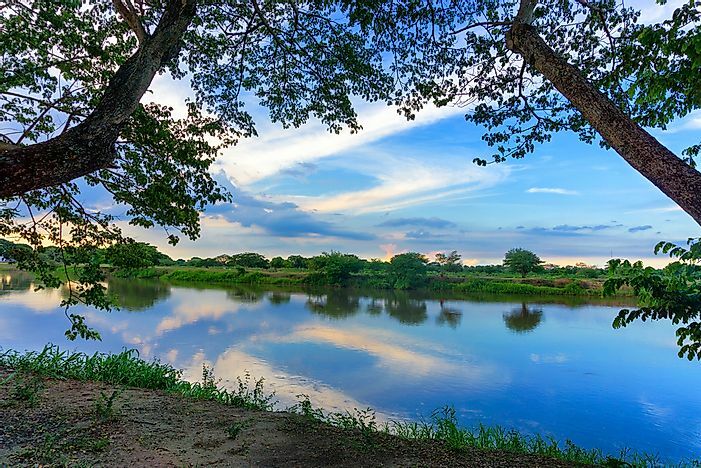 What the designation of this Colombian river as a protected area means for the country. Colombia is one of the world's most biodiverse countries, and has been attracting more and more tourists over the years. Photo credit: Shutterstock.com. The government of Colombia, together with the Alliance of the Bita and the World Wildlife Fund, have declared the Río Bita basin a protected area. The river is now placed under the Ramsar Convention, an international body that ensures the sustainable treatment of wetlands and water sources. The basin of the Bita River covers around 373 miles before draining into the grander Orinoco River basin, supplying water to Venezuela and Columbia. The basin of the Bita is a diverse ecosystem with over 1,000 plant species, 60 mammalian species, 200 bird species, and 300 fish species. Some of the animal species include jaguars and tapirs. In addition, the basin is the main source of sustenance for the local communities in the surrounding area. The Ramsar Convention is an international body that has existed since 1975, and aims to promote the protection of environmental landscapes. The placement of the Río Bita under the Ramsar Convention is especially important in Colombia, where the promotion of ecotourism is of high importance in one of the world’s most popular up-and-coming tourist destinations. The designation comes a few months after the Colombian government also decided to expand the Serranía de Chiribiquete rainforest national park to make it the largest protected rainforest park in the world. These actions are good news for Colombia, which is one of the world’s 17 megadiverse countries.